Although sour cream is normally quite thick, in some cases it's runny because of too much liquid. 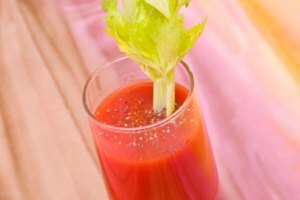 This is not a problem for soups, smoothies, marinades or salad dressings, when the thinner texture is actually a benefit. When a thicker texture is what you want, strain it through cheesecloth or coffee filters, or add gelatin or other thickeners. 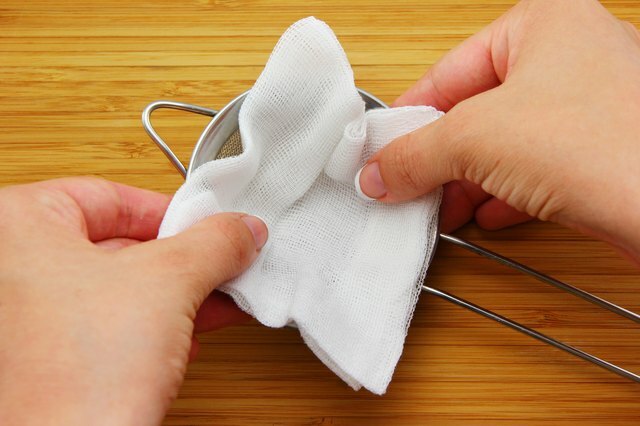 Fold cheesecloth in several layers and arrange it so that it covers the entire inside of the fine mesh strainer. Or flatten a coffee filter so it sits flat against the mesh strainer. Use as many paper filters as necessary to cover the strainer in a single layer, with minimal overlap. 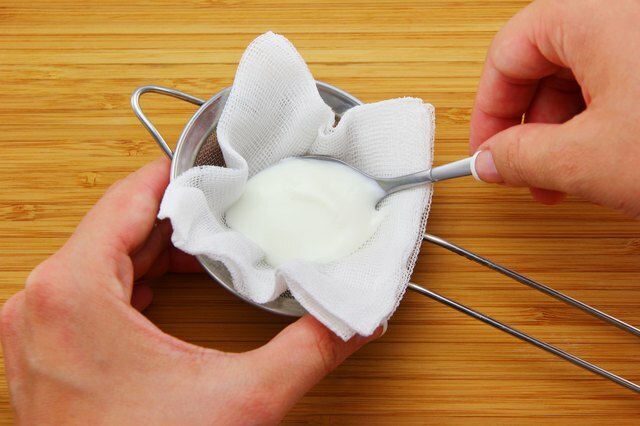 Spoon the sour cream into the strainer, ensuring that it only touches parts covered by cheesecloth or a filter. Fill the strainer to the brim. Place the mesh strainer so it sits on the rim of a bowl, with the mesh hanging into the bowl. 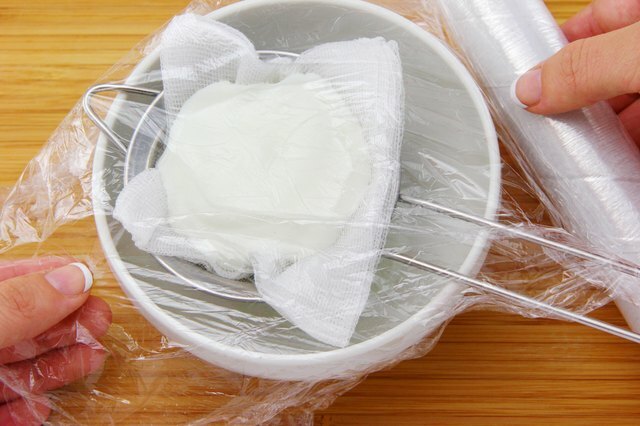 Cover the bowl and sour cream-filled strainer with plastic wrap and store it in the refrigerator for three to 24 hours. The longer it rests, the thicker the sour cream will be. 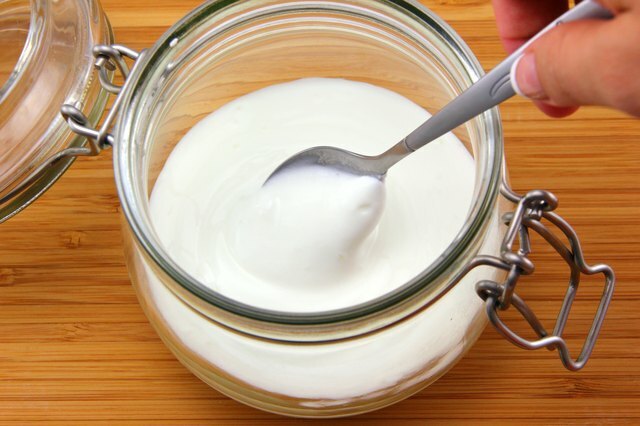 Transfer the strained sour cream into a food storage container, cover it with a lid and store it in the refrigerator. Discard the liquid that has collected at the bottom of the bowl. 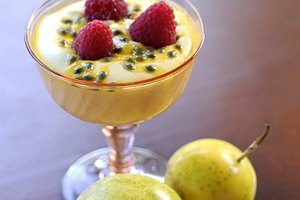 Pour the runny sour cream into a pot and add 1 to 2 tablespoons of unflavored gelatin powder for every 2 to 4 cups of sour cream. The more gelatin you use, the thicker the sour cream will become. However, too much gelatin can produce a gummy consistency. Stir thoroughly to combine the gelatin and sour cream. 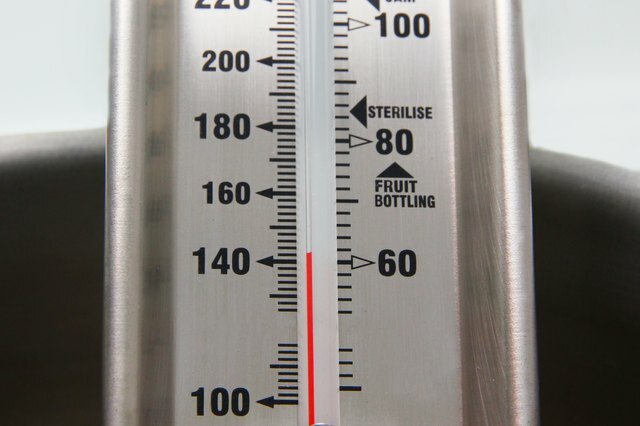 Heat the sour cream and gelatin mix over low heat until the temperature reads 140 degrees Fahrenheit on a candy thermometer. 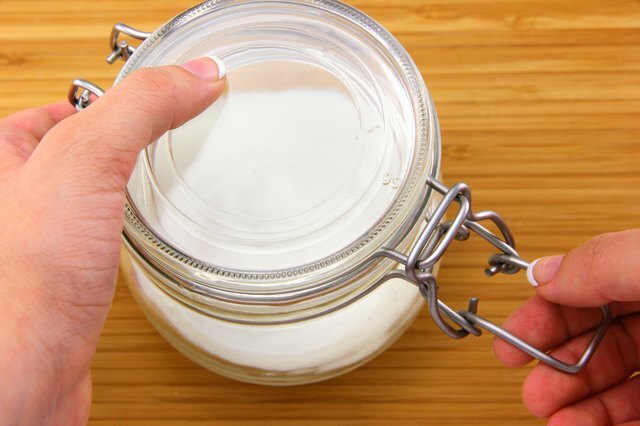 Let the sour cream cool before transferring it to a sealed, food-safe storage container and keeping it in the refrigerator. 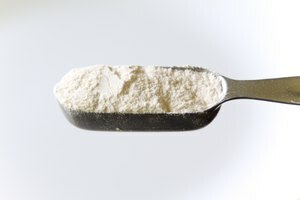 Use other thickeners, such as pectin or agar agar, in place of gelatin to thicken sour cream. The amounts and technique are similar. 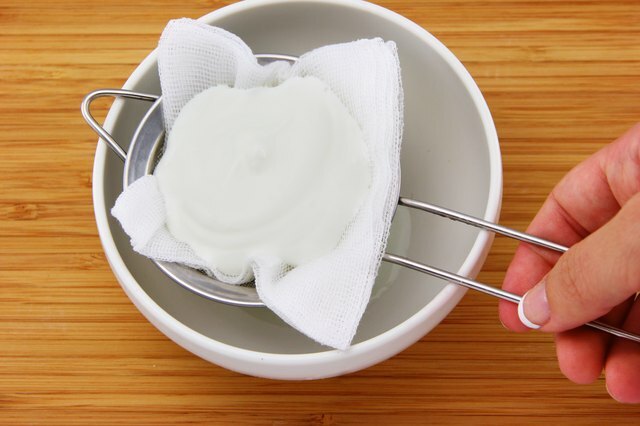 Stir constantly when heating sour cream to prevent burning or scalding.